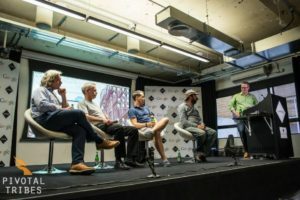 Last month the latest Pivotal Tribes event at Google Campus saw a panel of entrepreneurs discuss with our biggest audience yet how businesses they had started and been involved with in the past had ended up failing, what the different reasons were for this happening and to what extent mistakes can be avoided and lessons learned. The event was co-produced with Elance and Gannons Solicitors who continue to offer great support in helping to keep these events running. Our esteemed panelists were Dan Jacobs, Shawn Zvinis, Colin Hayhurst and Simon Grice. Attending the event was Bulgarian entrepreneur Angel Milev who wrote a great summary of his experience, and the main points that resonated with him, on his London Breakthrough Project blog. Also worth mentioning is panelist Shawn’s own write up about his previous startup Tab and what, on reflection, were the main factors that led to the business failing. Shawm Zvinis: view it as a learning experience not a failure #startupfailures. Focused too much on fund raising not product.